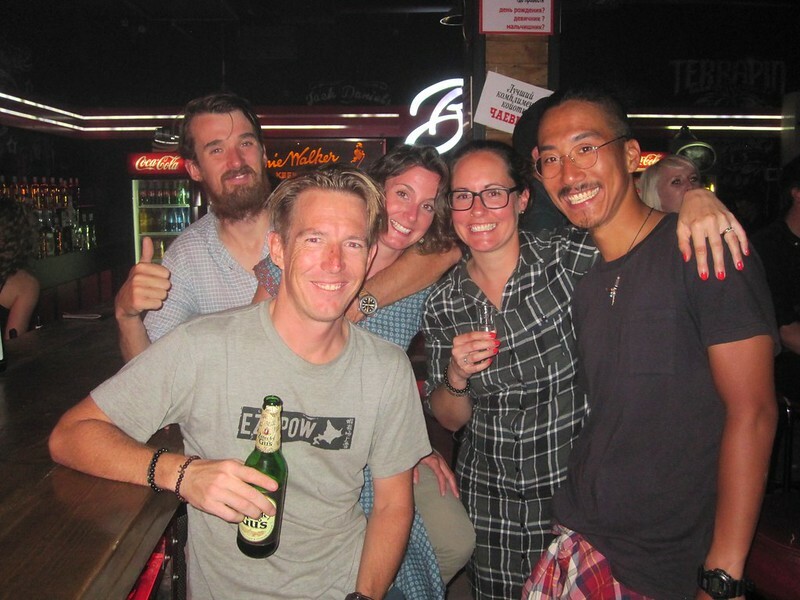 Also in Bishkek doing the visa thing were Annie and Paddy, whose blog https://2londoners1bike.com we’ve been following since we left South East Asia. They started in Saigon, heading back to Europe, following a similar route to us. Except they’re doing it on a tandem! We’ve been in many of the same places but never quite at the same time, so it was nice to actually meet them. We had loads to talk about and they were excellent company, which led to several boozy nights! The first of which was in ‘Bad Boyz’ bar, where we were invited to join some locals for a birthday party, resulting in some sore heads the next morning. When we had to be up bright and early to get to the Uzbekistan Embassy. Luckily it’s just up the road from where we’re staying, or at least it was. When we got there, we discovered they’d recently moved location, meaning we had to take a taxi across town to join the back of the queue of people already waiting outside the gate. 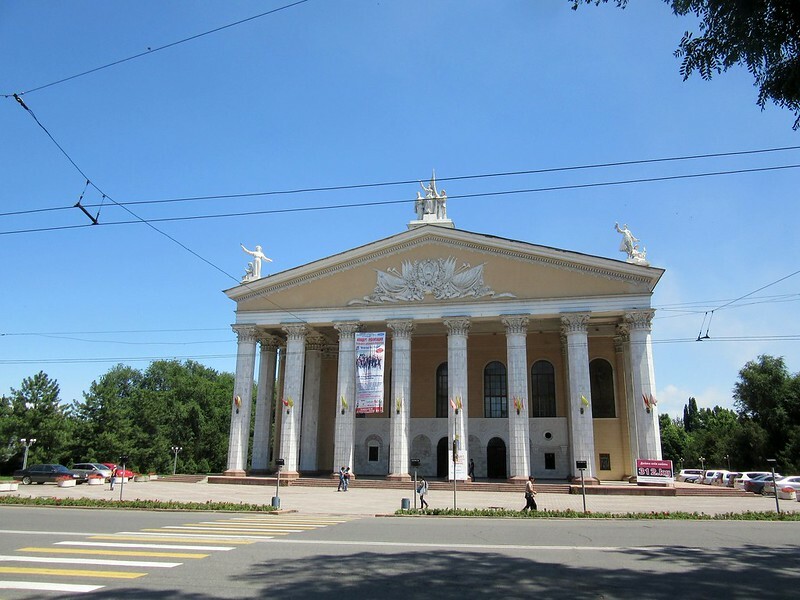 We were waiting a couple of hours to be seen, then had to pay the fee at a bank about 3 km away. 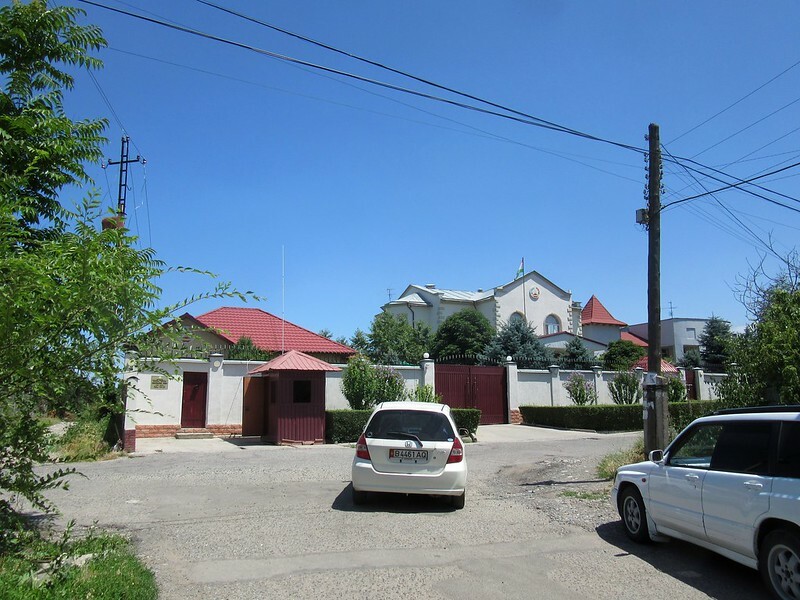 We’d already arranged letters of invitation through an Uzbek travel agency, so once we returned to the embassy with payment receipts, we were issued with our visas that day. One down, two to go. That weekend was the Wales – N.Ireland game. We arranged to meet with Annie and Paddy again to watch the game at Pinter, a big pub with outdoor screens. Also joining us was JK, our Korean friend, and Will, a British guy who’s living here studying Russian who Annie and Paddy had met previously. Predictably, the game finished (with a Wales victory, much to Annie’s delight) but the drinking didn’t. We moved on to a club, if you can call it that, where we stayed until sunrise! But what a view to be greeted with when we emerged into the daylight. It was the first really clear sunny day we’d had, and the mountains looked so spectacular towering over the city in the morning sunlight. Then on Monday it was back to the serious business of visas. So straight to the Azerbaijan consulate, where we rang the bell and waited, and waited. The guard outside just told us to phone a number, which we did, but there was no answer. After a bit more waiting, a google search told us it was a national holiday in Azerbaijan that day. So we decided to head over to the Tajikistan embassy, a 20 minute taxi away. When we arrived, the guard told us to come back the next day. 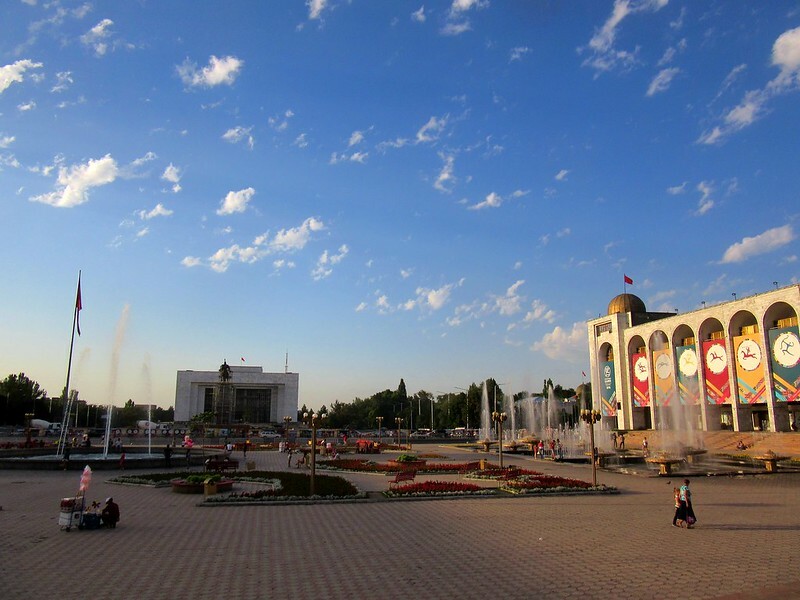 Tajikistan also had a (completely unrelated) national holiday on that exact day. 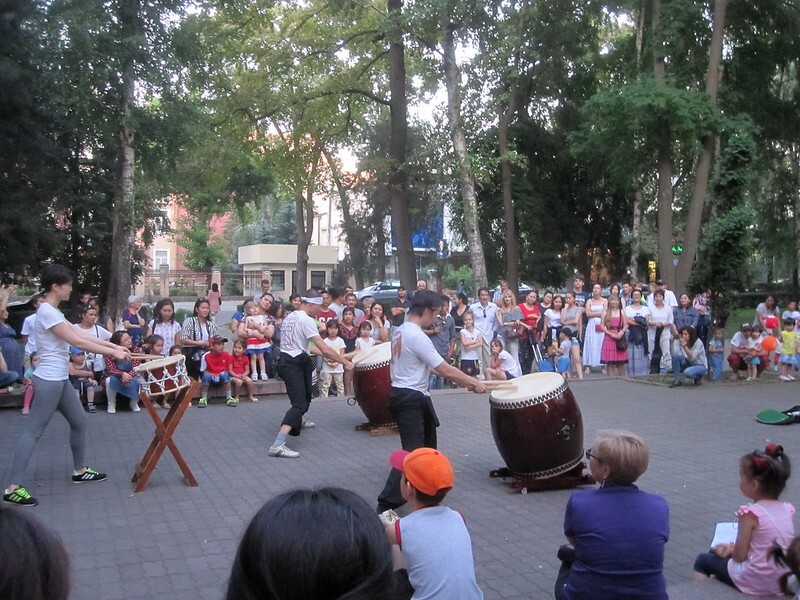 Tuesday we were back to the Tajik embassy when they opened. We put in our applications, and eventually persuaded them to let us hold on to our passports as we needed them for the Azeri visas. Then it was back to the Azerbaijan consulate, via a popular Indian restaurant for their all you can eat lunch buffet. We’d phoned the consul who had kindly agreed to accept our applications, even though they’re usually open Monday, Wednesday and Friday. Applications in and fees paid at a bank some distance away, we were told we’d be waiting anything from five days to two weeks for the visas to be issued. 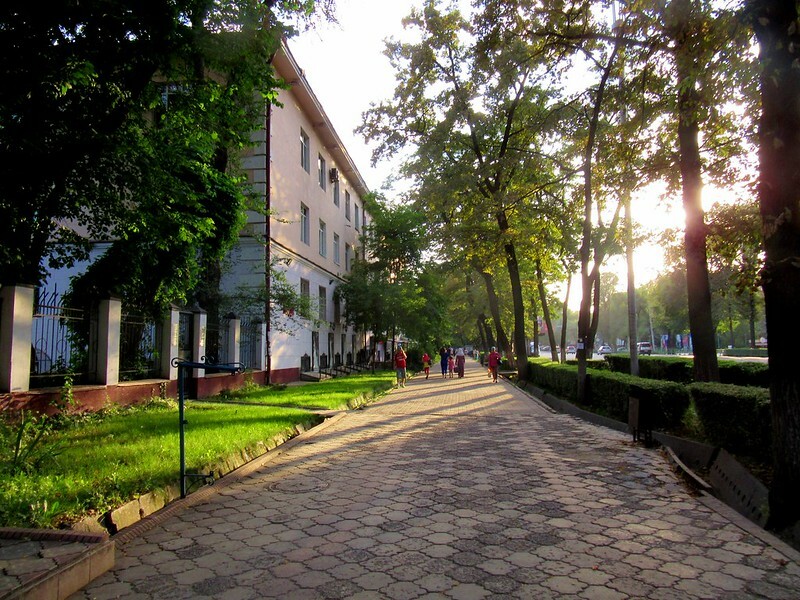 Wednesday we were back to the Tajik embassy, but they hadn’t processed our applications and we were told to return the next day. We’re now very familiar with the 3km walk between our place and the embassy, as we did it in one or both directions on four consecutive days! 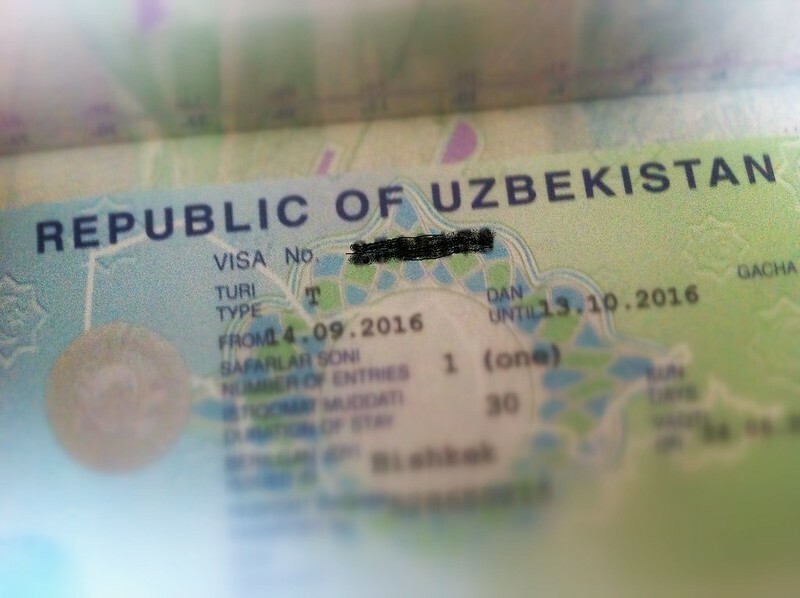 We finally received our visas on Thursday, along with the GBAO permit necessary for the Pamir Highway. Two down, one to go. 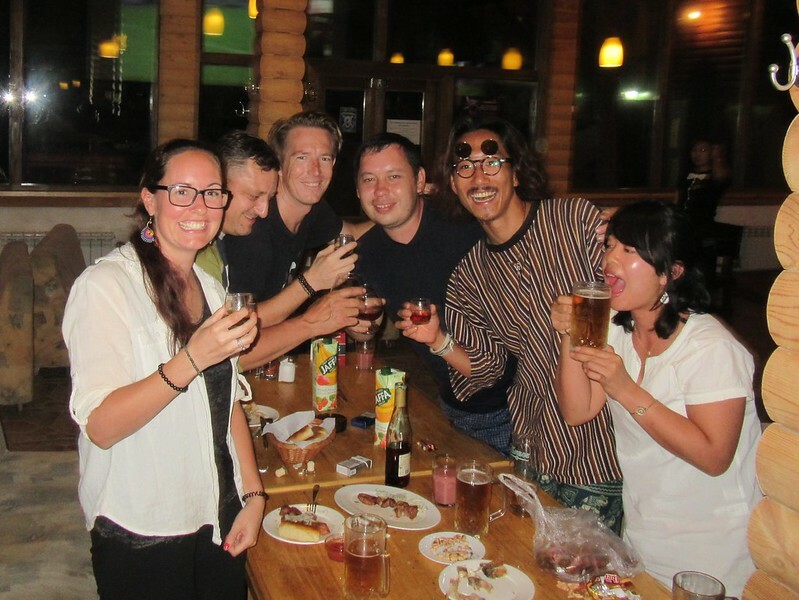 We met up with JK and a Japanese girl from his hostel, Lena, that evening for dinner. It was (honestly) going to be just dinner and a quiet beer. JK and Lena were up early the next day to go hiking, and we definitely weren’t up for another big night out. Dinner was good, some delicious shashlik kebabs and a beer. But then the two local guys on the next table, Alexei and Anatoli, said hello and asked if we’d mind speaking English with them for a while. 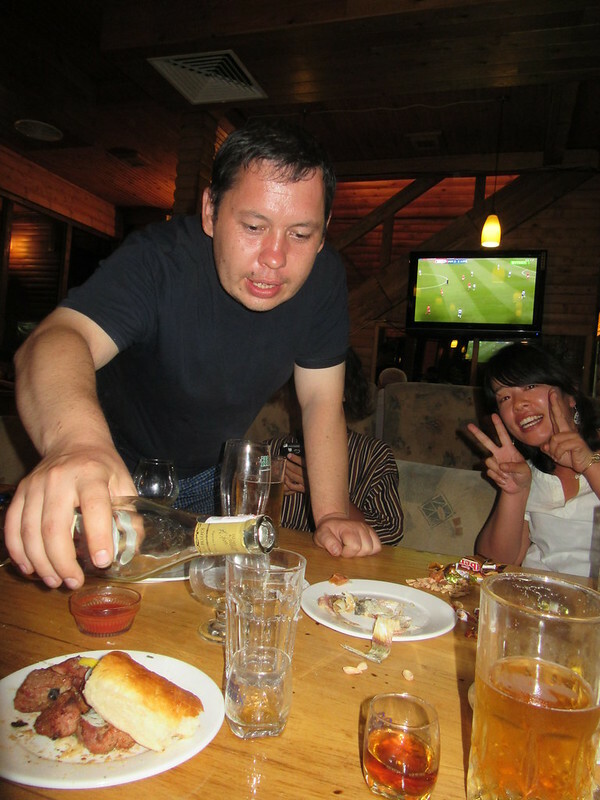 So they bought us a round of beers, and then a bottle of Kyrgyz cognac (best in the world, they said!) They’d already been drinking pretty heavily, and continued to do so – Anatoli’s party trick was downing a large glass (250ml +) of vodka in one. They were both really friendly but it got to the point where we had to politely excuse ourselves and leave them to it. We said our goodbyes to JK and Lena at around 2am. They didn’t make it hiking the next morning. 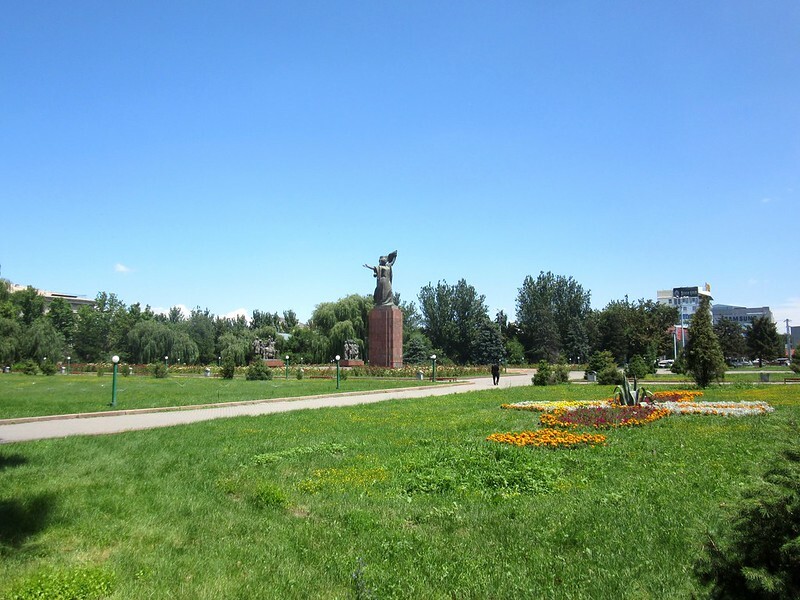 Between the drinking and visas, we’ve enjoyed being in Bishkek. We hadn’t heard great things, but we like the place. It’s very convenient, there are good restaurants and shops, so we can get everything we need. 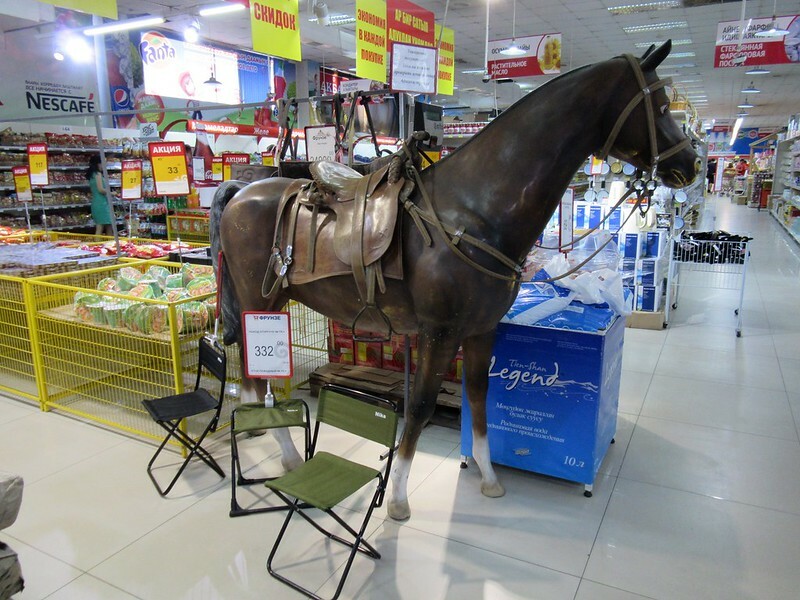 It’s got to be the only city in the world where you can buy saddles and horse riding tackle in the supermarket!? It’s a very neat and planned city, on a grid system with many public parks and squares. 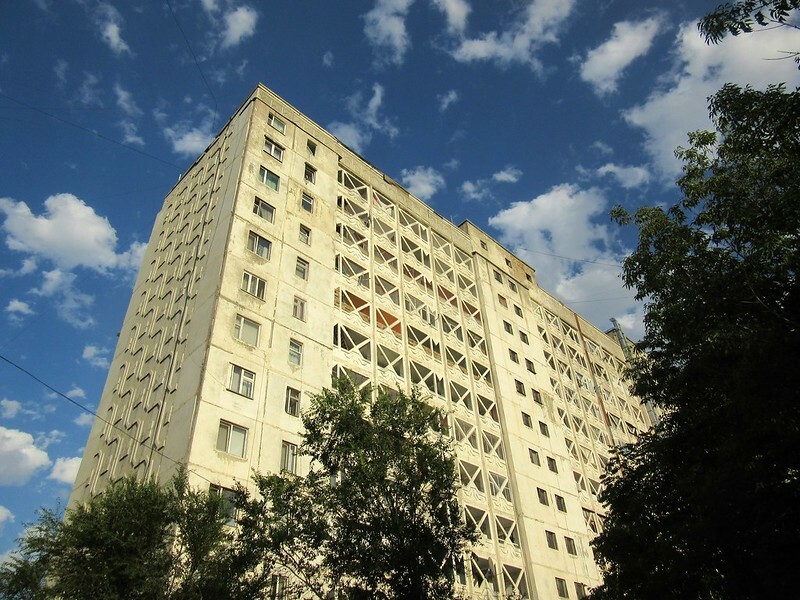 The buildings are interesting, some are very old and weathered but many are grand old relics of the Soviet era. We’re close to a central street with a park down the middle where people seem to go in the evenings to walk with their families. We’ve been down there a few times for an ice cream or a stroll, one evening we even saw a Japanese Taiko drum performance there. 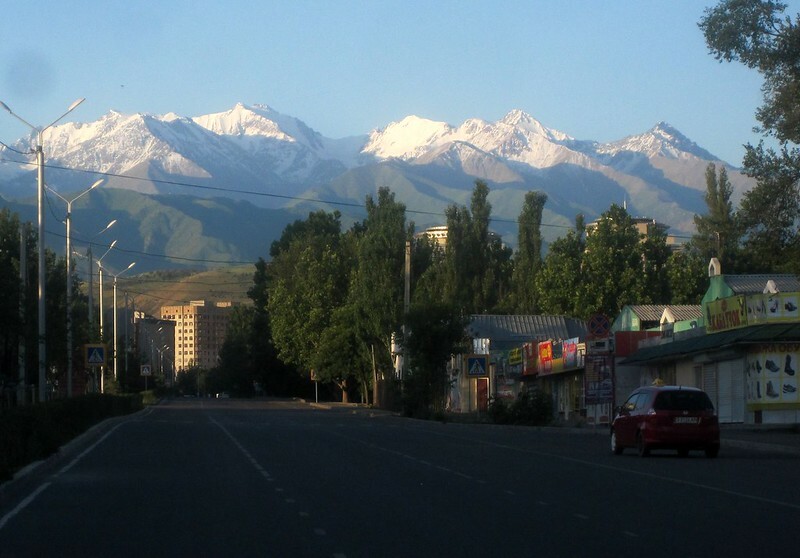 On the clear days, the mountains are visible from almost anywhere in the city. They’re calling us, and we’re ready to move on. 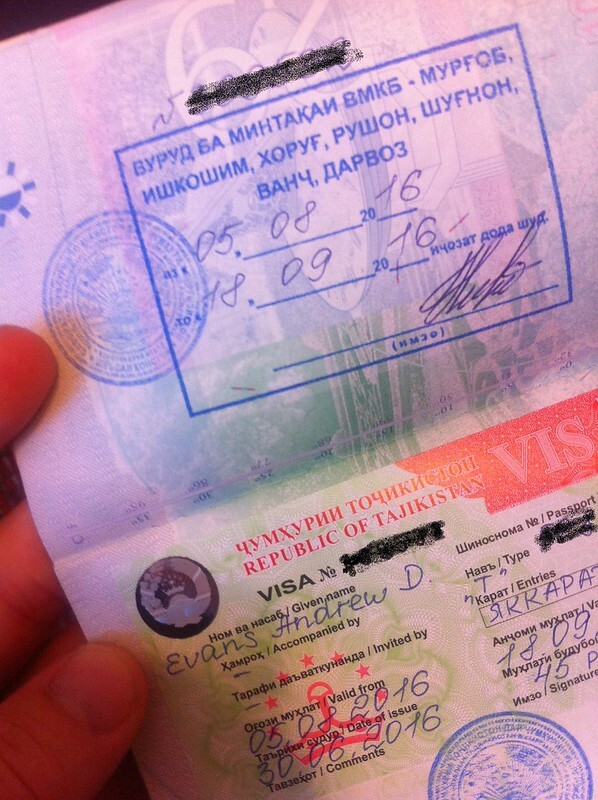 As soon as we get the Azerbaijan visa, we’ll be on the road again…. Haha! That is so awesome! Thanks for telling us about that. Did your team end up winning? If we get nothing else out of this trip, our knowledge of Central Asian geography will have significantly improved!